Included in this set is a table lamp, a bar, and a wall hanging. 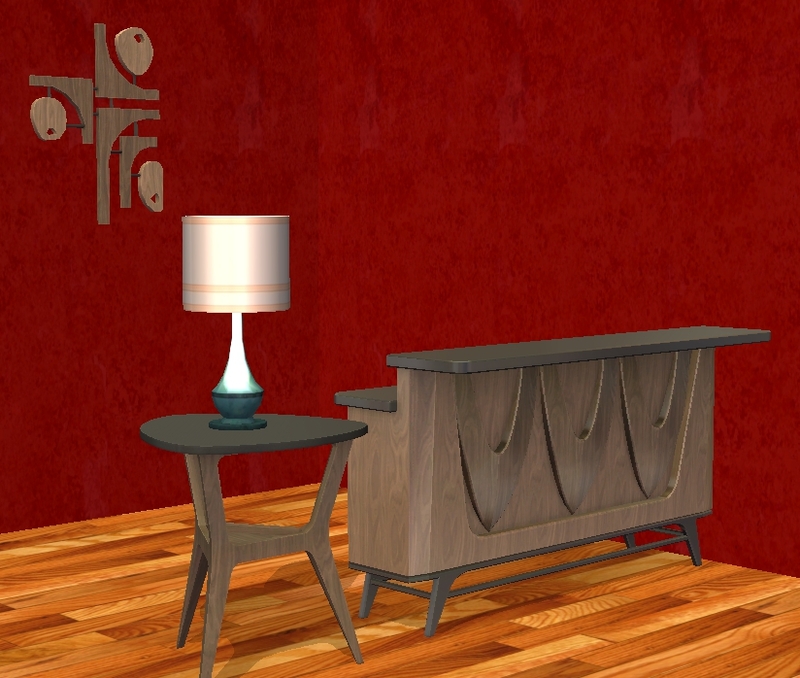 The end table in the screenshot can be found here. The price of the table lamp is 200 simoleons, the price of the bar is 1,000 simoleons, and the price of the wall art is 120 simoleons. Enjoy!